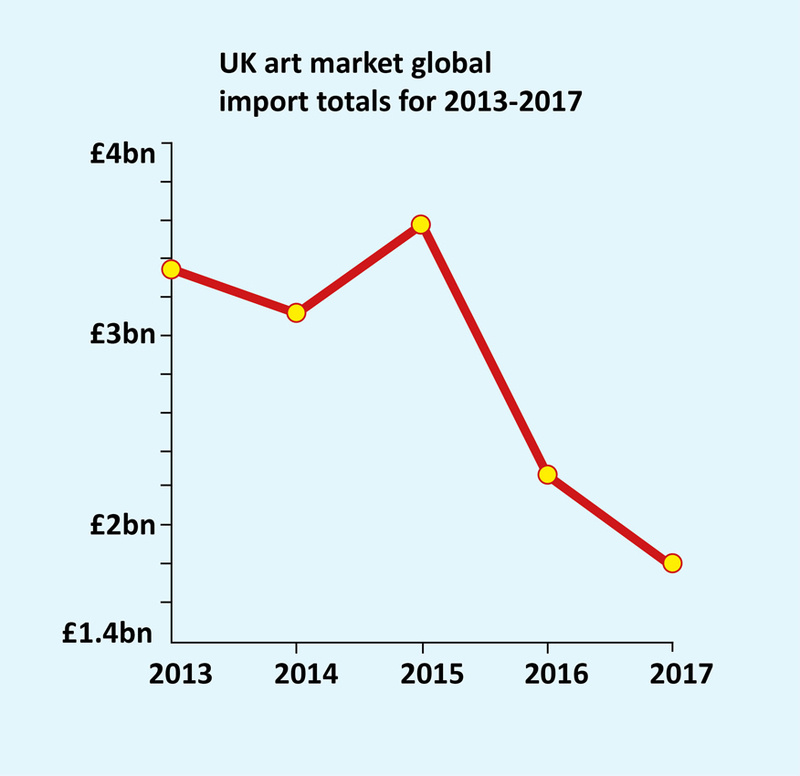 Art and antiques exports from the UK continued to fall in 2017, recording a decline of 2.2% to £4.84bn, according to UK trade figures from HMRC. At the same time, there were areas of significant growth, including exports to China which rose by 350% to £115.9m in 2017. 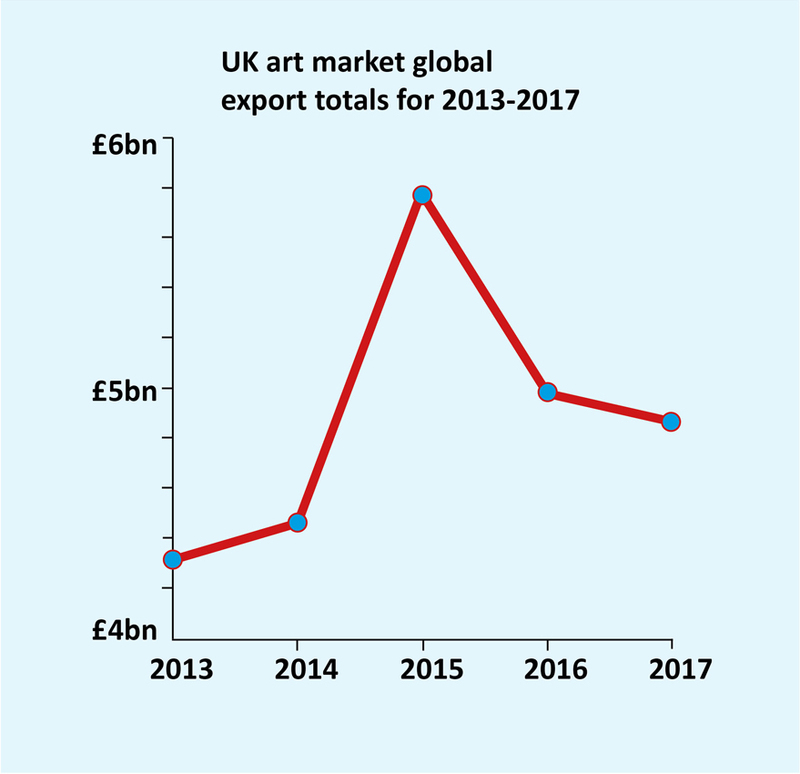 Exports of fine art continued to outperform antiques: movement of antiques from the UK fell 9.6% to £641.7m while art slipped just 1% to £4.2bn. China is a growing market for the art sector and the recent The Art Basel and UBS Global Art Market 2018 report found China is in second place after the US with 21% of total sales. The export and import figures from HMRC measure the value of goods crossing UK borders rather than sales so can include, for example, works of art being moved for display. The results, analysed by writer and art market consultant Ivan Macquisten, therefore do not reflect actual transactions and trade. However, Macquisten said the figures reflect “market trends and spheres of influence”. Import traffic from the UK’s main EU trading partners was down almost 60% year-on-year which Macquisten put down to the impact of the UK’s Brexit decision and the fall in sterling. Looking at exports and imports over 2016 and 2017, Macquisten said global exports fell 15.5%, after a previous rise of 28.4% in 2015 on 2014. Global imports dropped 50% in this two-year period, albeit after a 15.4% rise in 2015 on 2014 totals.